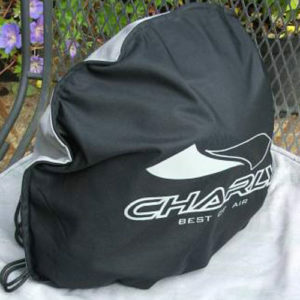 Take only the best ingredients: High quality Vinylester, fiberglass and Kevlar fabric. Do not use simple polyester and cheap fiberglass mats! 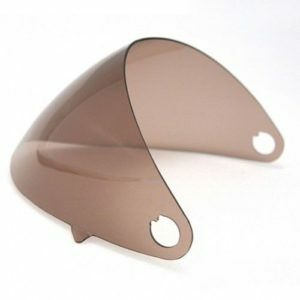 These are processed in a high pressure metal mold with counter-mold. Not in a simple, open synthetic-mould. Only in this way can a high percentage of fabric use be guaranteed. By use of an annealing process, the strength of the synthetic material can be increased by up to 70% in comparison to hardening at room temperature! 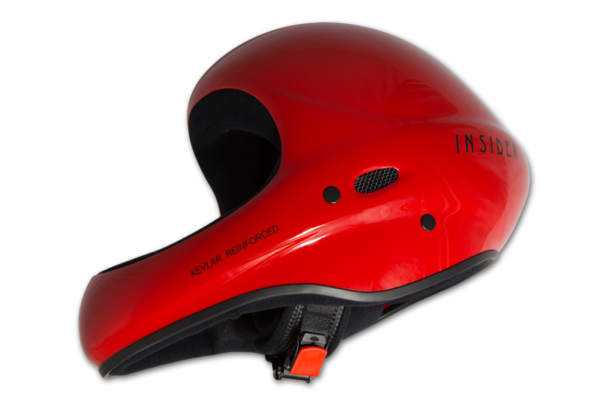 In this way it is possible to achieve an unbeatably light-weight, yet impact-resistant and robust outer shell. One should certainly not scrimp and save on the varnishing, otherwise the helmet will rapidly become scruffy. Therefore only anneal the most expensive enamels and the best varnishes in three (by unicolor two) layers! 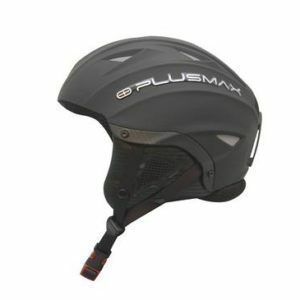 For the impact-absorption material, top quality EPS-foam (made in Germany) should be utilized, otherwise either the helmet dimensions must be larger or one fails to fulfill the CE-certification for aviation helmets (HPG) (Caution: Certain helmets fulfill only the cycle and ski helmet norm)! Perfect fitting and maximum comfort can only be provided by a helmet that has been fully upholstered with endermic material and is available in 6 definite sizes. 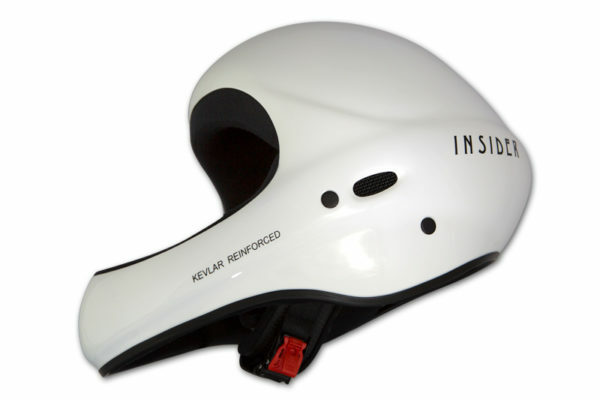 Adjustable internal head straps are more suitable for cycling helmets due to essential ventilation. When you put the helmet on, there should be as little to feel and see of it as possible. Please check out what we mean by a large field of vision. The chin strap must feel comfortable and keep the helmet safely on the head. 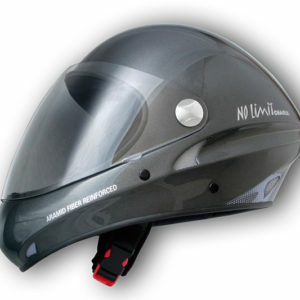 Can you still communicate without difficulty when wearing the helmet? Are the sounds from the wind sufficient to judge wind speed, yet quiet enough, so that the VOX of your transistor radio still functions in flight? The interior should make it possible to put on glasses subsequently. Circumference of head: S=55/56, M=57/58, L=59/60, XL=61/62 cm!